Oat milk is a tasty and cheap milk alternative that is all too easy to make at home. It can be tough trying to find a delish non-dairy milk alternative that is planet-friendly - but oat milk is here to save the day. Other milk alternatives like almond milk don't always fair up so well when it comes to reducing the impact our food habits have on the planet. 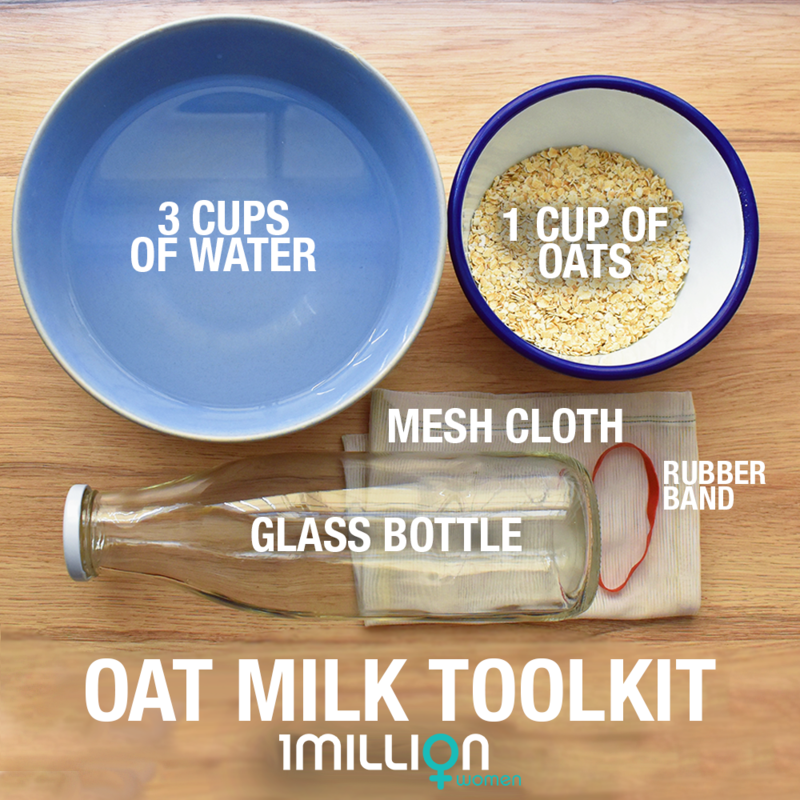 If you aren't already convinced by oat milk, it's also an easy plastic-free option as plastic-free oats usually aren't too hard to find. Oat milk is a quick DIY with few ingredients, so as long as you're mindful of where you source your oats from - it's the perfect milk alternative! Pour mixture into the mesh cloth slowly, stopping to let it strain. You may have to use your hands to squeeze the milk out or stir the mixture with a spoon. Once you've used all your mixture you're good to go. Store your oat milk in the fridge and enjoy. If you're a sweet tooth try adding a teaspoon of maple syrup, a date or some cacao - yum! You can also use the leftover oat mix for some muesli or porridge.